Tobacco use kills more than five million people per year. It is responsible for 1 in 10 adult deaths. Every eight seconds, someone dies because of smoking-related diseases like chronic obstructive pulmonary diseases and heart diseases. Among the five greatest risk factors for mortality, it is the single most preventable cause of death. But, if the current patterns continue, tobacco use will kill more than 8 million people per year by 2030. Up to half of the world’s more than 1 billion smokers will die prematurely of a tobacco-related disease. In the Philippines, 34.8% of our population is engaged in tobacco smoking. What is more disturbing is that children as early as nine years old smoke. For every cigarette stick smoked, a smoker loses at least five minutes of his precious life and also endangers the lives of innocent people around him whose only fault is that they did not forget to breathe. As Chairperson of the Senate Committee on Health and Demography in the 14th Congress, I heard and then sponsored the bill mandating picture-based warnings on tobacco products (SB 2377). We need the bill to deter new smokers, especially among the youth, try to lessen the urge of existing smokers, as well as implement our commitment under the Framework Convention on Tobacco Control (FCTC), which is an international treaty initiated by the World Health Assembly. It is the first global public health agreement devoted entirely to tobacco control to which the Philippines is a signatory and which was participated in by 192 countries. 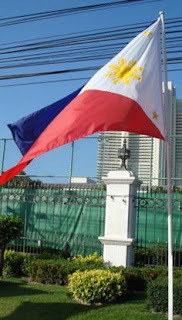 The Philippines acceded to the FCTC in 2005 obliging us to comply with certain standards, such as tobacco price and tax increases, tobacco advertising and sponsorship, illicit trade and second-hand smoke. More importantly, the FCTC recommends implementing effective measures on packaging and labeling of tobacco products, such as the adoption of a picture-based health warning on tobacco packages. I defended this bill on the floor and was hoping it would pass, but there was strong resistance from some senators. It was very disappointing. Meanwhile, a similar bill filed in the House of Representatives was not prospering either, also due to the resistance of some lawmakers. Soon after, then Secretary of Health Esperanza Cabral came out with DOH Administrative Order 2010-0013 which mandated that graphic health warnings be placed in tobacco packages in accordance with our obligation under the FCTC. This was a move I fully supported and was happy to see implemented. Unfortunately, the tobacco companies filed a petition questioning the legality of DOH AO 2010-0013 and seeking to prevent the DOH from implementing the same. An injunction order restraining the DOH from implementing the AO was granted by a Regional Trial Court of Malolos, Bulacan. Thus, the DOH filed a petition with the Supreme Court to question the decision of the lower court. In April 2011, the Supreme Court granted said Motion to Intervene. The mandate for tobacco products to bear graphic health warnings should no longer be a subject of great debate. Studies show that graphic health warnings are effective. In Brazil, two thirds of smokers (67%) said the warnings made them want to quit. In Canada, nearly half of smokers (44%) said the warnings had increased their motivation to quit. More than one quarter of smokers (27%) also smoked less inside their home as a result of warnings. In Singapore, more than one quarter of smokers (28%) said they consumed fewer cigarettes as a result of the warningsand one out of six (14%) of smokers said they avoided smoking in front of children as a result of warnings. In Thailand, nearly half (44%) of smokers said the pictorial warnings made them “a lot” more likely to quit over the next month. Tobacco products have been proven to be hazardous to people’s health. The tobacco companies are not being prevented from conducting business. But since they are selling a hazardous product, they should be responsible corporate citizens and comply with policies that are pro-health. Davao City is so progressive. The first city with a Women’s Code. They also have an anti-smoking ordinance and a fire cracker ban. They are looking into establishing bike-lanes. And the most important part of this.. they implement their laws! Meanwhile, Davao del Norte, is constructing a state-of-the-art sports complex in Tagum City. I saw the plans and was at the ground breaking on a previous visit. So very exciting. 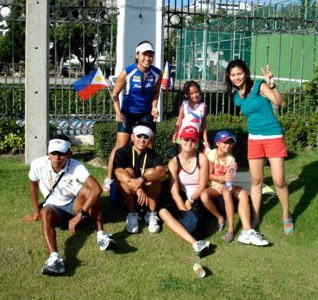 Ani del Leon, also conducted a Pinay in Action running clinic there. They are also pouring million of pesos into health care. I was there for 3 days from January 29-31, 2009. My office and advocacy arm, Pinay in Action organized 25 seminars on health, breast feeding, immunization, women empowerment and running clinics for girls. 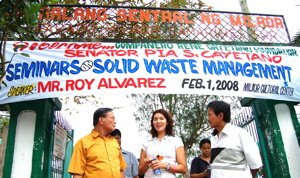 That was the tiring part and we couldn’t have pulled it off without my hard working and dedicated staff, the support of the local government units, particularly Davao City, thru the office of Mayor Rody Duterte and Davao del Norte Province, thru Governor Dolfo del Rosario, the NGOs and private sector. The fun part was the 101 km bike ride from Davao City to Tagum City (where the provincial government of Davao del Norte is). There were also a lot of people who lined the streets to greet us, and as always many expressed shock to see women bikers. We passed thru the beautiful banana plantation that just stretched on and on. It was a very calming bike ride, away from the heavy traffic, save for the aerial spray of fertilizer which flew right above us! There is actually a Davao City Ordinance banning this, but the case is currently pending in the Court of Appeals. known as the Biking Priest. He bikes around the country for peace. His blog is full of interesting stories of his bike rides, his advocacies and his vocation as a priest and teacher. An interesting side trip was the tour of the Nestle Experimental and Demo Farm for Coffee. I was told that it is the only experimental facility for coffee in the whole country! Farmers come from all over the country to learn about improving their coffee business. We used to be an exporter of coffee but today, we cannot even meet our local demand 🙁 Sadly, Vietnam’s yield per hectare is much higher than ours, according to the National Coffee Development Board, which only tells us there is so much more to do. Another stop I made was Barangay Sasa in Davao City where our triathlon national champ George Vilog hails from. As a young boy, he enjoyed riding his bmx bike and swimming in Coaco Beach. 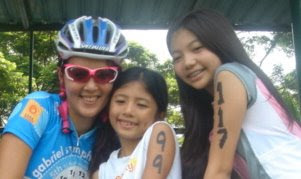 At 16, he competed in his first triathlon . In 2002, he became our national champion. Today, he is the silver medalist of the SEA games. George is a shining example of a young boy with very little means, who found his way to the top thru sports. George is currently developing local talents in Davao. And so ended my Davao trip. Had to rush home to my girls after the ride and shift to mommy mode. n.b. Bike for Hope is a project of The Companero Rene Cayetano foundation which was put up by my dad the former Senator Renato Cayetano years ago. When he pased away, we continued it in his memory. 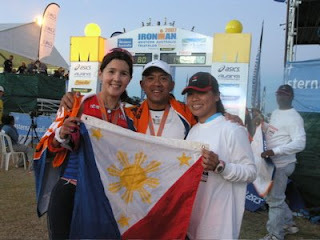 We are on our 8th leg having covered various provinces in Luzon Visayas and Mindanao. By God’s grace, I hope to bring Bike for Hope to other parts of the country to continue spreading our advocacies on health, women empowerment, protection of the environment and youth development programs.